I haven’t talked much about the peppers in our Family of 4 Garden – the tomatoes have just been so much more interesting! The peppers are relatively trouble-free, and they seem to be productive. 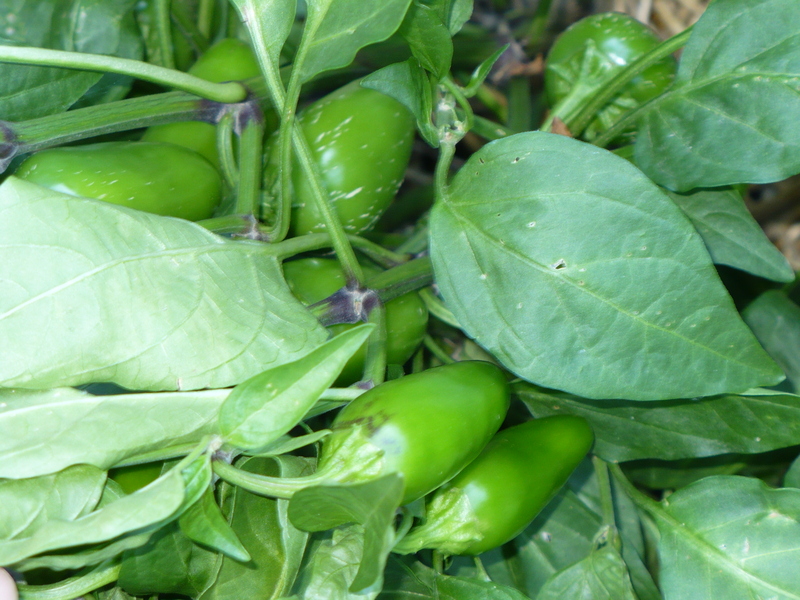 The ‘Padron’ peppers have been producing like crazy for 3-4 weeks no w, as have the banana peppers. The Jalapenos are absolutely loaded with peppers, but they haven’t been sizing up very well. They are starting to turn colors though, so I guess they are ready to pick! The poor plants are almost falling over they are so loaded down. The ‘Mohawk’ peppers would be spectacular in containers, I’m sure. However, they are less than impressive in the garden next to the other peppers. 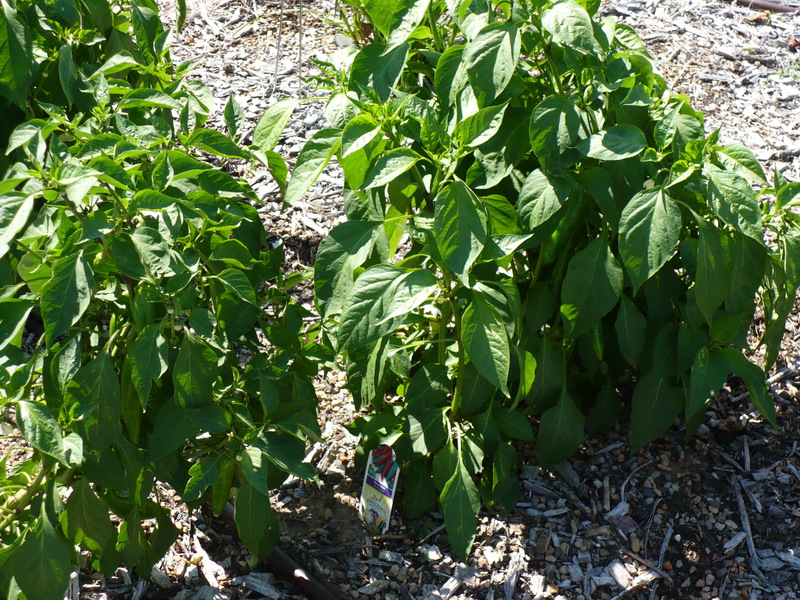 These Anaheim peppers were planted in late May, and they have had essentially no care. They were watered twice this summer (when it was extremely hot – over 100 degrees. ), and have received no fertilizer or other attention. You can’t really tell much from this picture, other than that the peppers are healthy. They are also loaded down with peppers, although that is hard to see from the photo. The pepper I picked smells like it has a fair bit of zing! 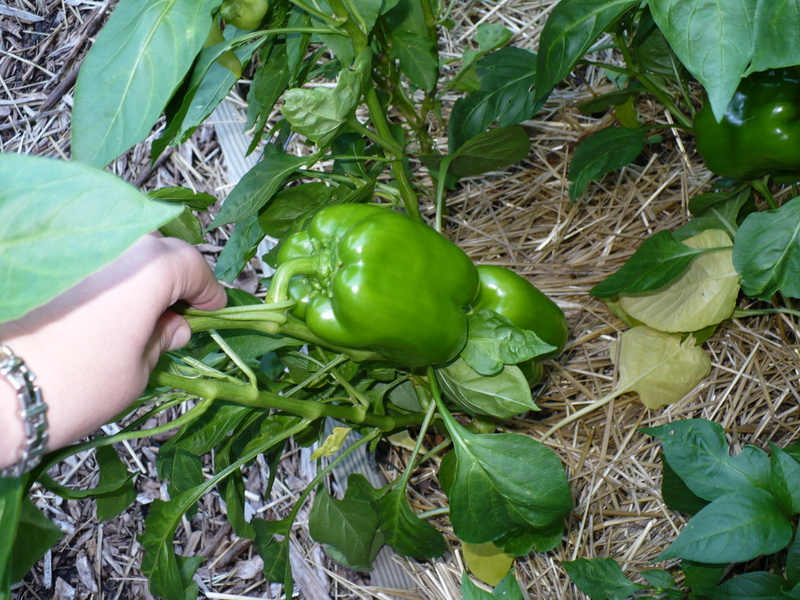 Posted on August 4, 2009, in Family of 4 Garden and tagged harvest, peppers. Bookmark the permalink. Leave a comment.